Plastic bags in Boston, MA are very versatile. They cater to the varying packaging requirements of all types of businesses in the market. As a matter of fact, plastic bags have evolved over time to be stronger, more environmentally friendly, and more accommodating to various contents. Gusseted poly bags are a variation on t-shirt plastic bags which has made them more versatile. The gussets are incorporated in the bags so that they can easily expand for carrying larger or bulkier items. 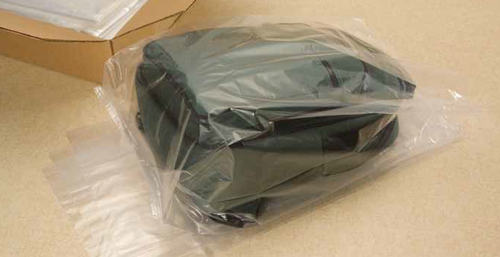 Because of the gussets, these polyethylene bags expand to provide more room for irregularly shaped items. This is why they are on the list of top packaging materials for most businesses. Additionally, there are a wide range of options for customization that allow business owners to maximize the potential of gusseted plastic bags so they can be both a packaging tool and a promotional tool. They can be customized with the business name, company logo, slogan, store locations, contact details, and other relevant information to help spread awareness. To find out more about the benefits of gusseted plastic bags, contact Atlantic Poly.